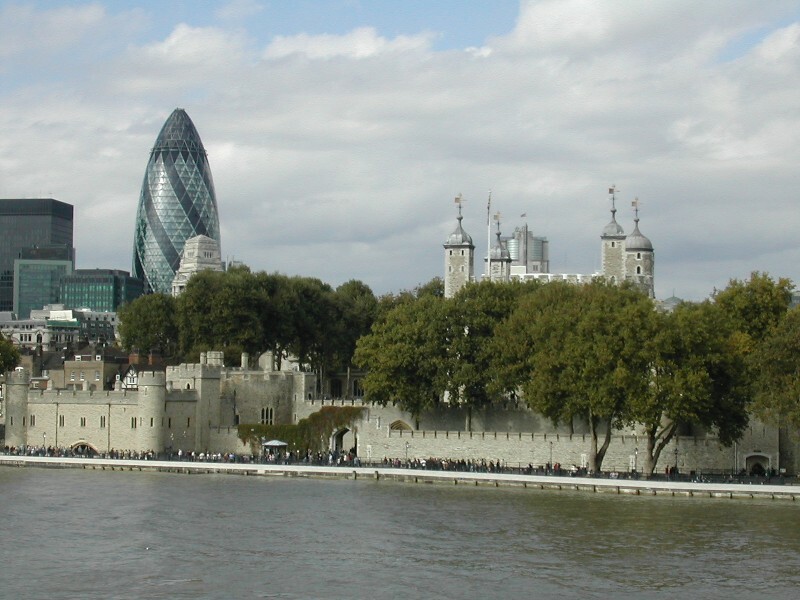 The Tower of London where my Great Uncle Charlie was Chief Yeoman of the Guard in the mid 1900s. He was on postcards all over London and perhaps he still is. Who knows, it’s not like Yeomanry fashion changes all that frequently (unlike that of the guards at Prague Castle!). The artillery shell shaped building is affectionately known as “The Gherkin”. It’s an office block designed to be 50% more energy efficient than your bog standard office block. Good work! 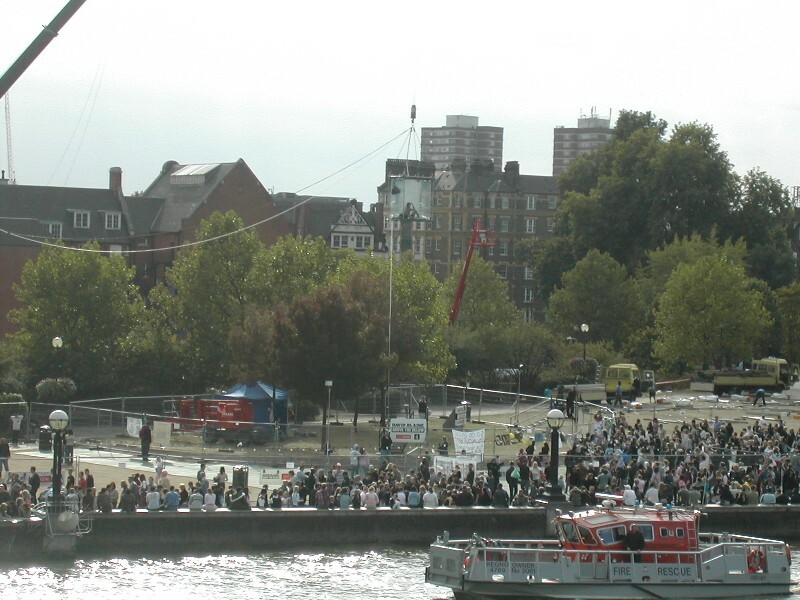 This photo was taken from Tower Bridge. Wonky London. I’ve misjudged the horizon somewhat in this image. 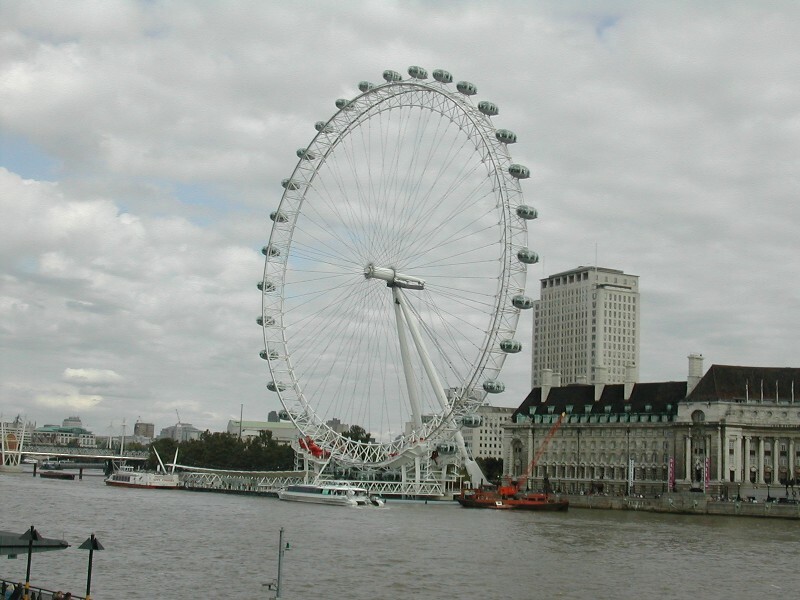 Anyway, behold the London Eye (with County Hall on the right) taken from Westminster Bridge. Quite expensive to ride, but worth it. The queue was long, but continuously moving and when you get there you have a whole hour up there. We rode it at night, so the queue had lessened in length, though there were still a significant number of tourists who just wouldn’t give up and go back to their hotels. The main reason for this is that you have to book in advance. We should have checked the London Eye website. David Blaine, Above the Below. A highly publicised 40-day fast. He attracted all sorts of attention, my favourites being the burger van for the hungry spectators, the teenagers throwing eggs, flash-mobbers with laser pens and the radio controlled helicopter dangling a McDonalds Meal hovering around his “cage”. Why did we bother going to see him? Because we could. All the other London attractions will be there next time. 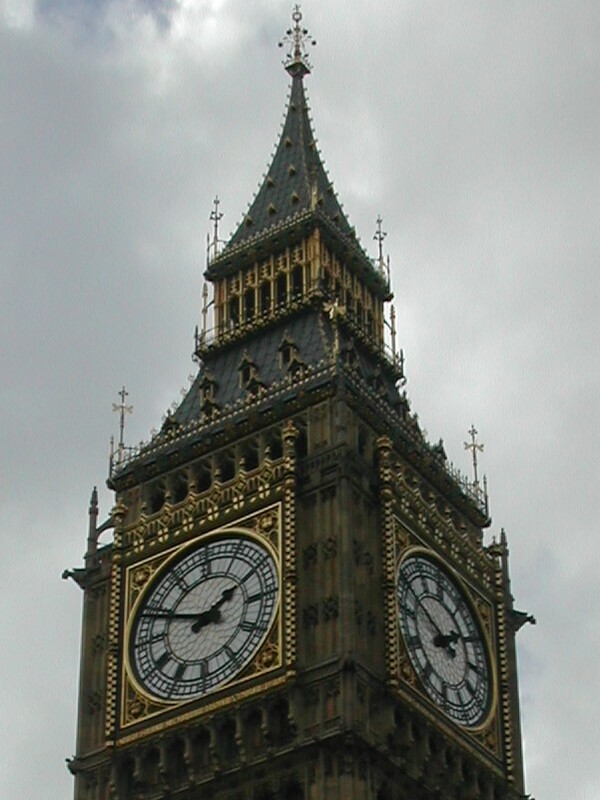 Big Ben clock tower. I suppose this is such a familiar image that it is taken for granted. I don’t think that I have ever noticed how elaborate the tower is before. I also realised how much I didn’t want to hang off the minute hand Harold Lloyd style.